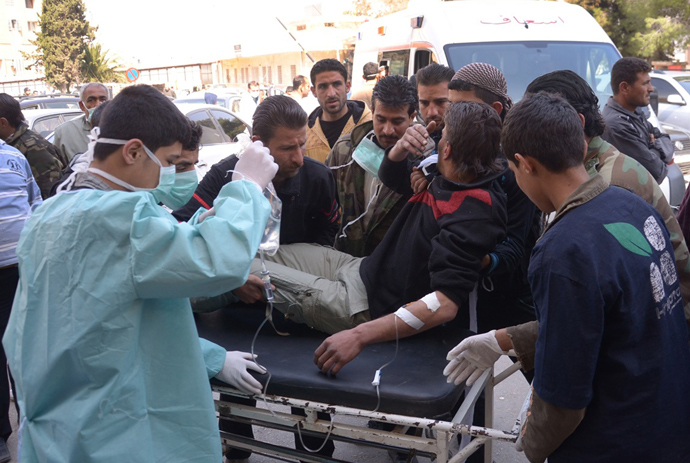 Russia reacted strongly to the incident, calling for a thorough investigation into the detention of Syrian militants in possession of sarin gas. "We are extremely concerned with media reports. Russia believes that the use of any chemical weapons is absolutely inadmissible,” Russian Foreign Ministry spokesman Alexander Lukashevich said on Thursday. On May 11, 51 people were killed and 140 injured after two car bombs exploded in the Turkish town of Reyhanlı, located near the country’s border with Syria.A dozen Turkish nationals have been charged in the twin bombings, and Ankara has accused Damascus of helping the suspects carry out the attack. A day before the Reyhanlı bombing, Erdogan released a statement claiming he had evidence the Syrian government had had used chemical weapons, crossing the red line set by President Obama.The accusation contradicted a statement made at the time by a leading UN investigator.Carla Del Ponte, who heads The Independent International Commission of Inquiry on Syria, said there were “concrete suspicions but not yet incontrovertible proof of the use of sarin gas” in Syria.